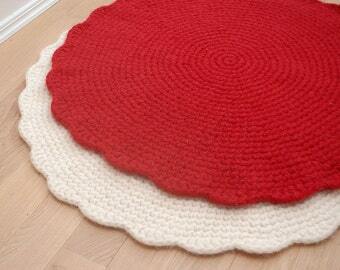 Large Baby pink crochet wool round rug. 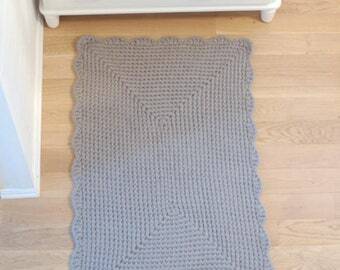 Crochet and felted woolen rug is soft and warm, smooth pattern will fit in bedroom or nursery interior. 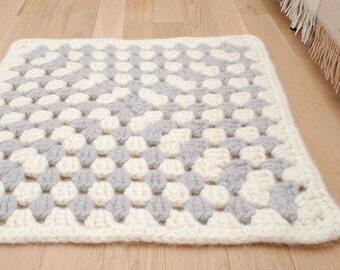 Soft and thick crocheted by hands and then felted rug - nice accent for home. Made from 100% wool yarn. 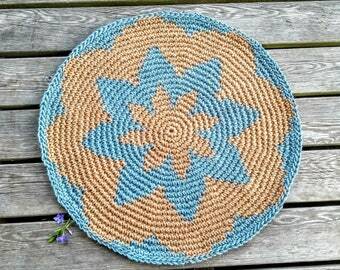 Can be washed in washing machine on wool mode cold water. 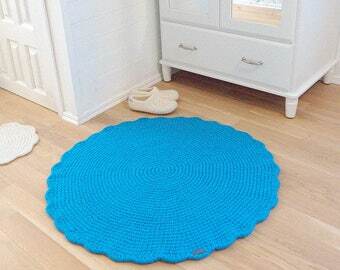 Diameter of a rug in the photos is 130cm/52inches. You can also choose other sizes. 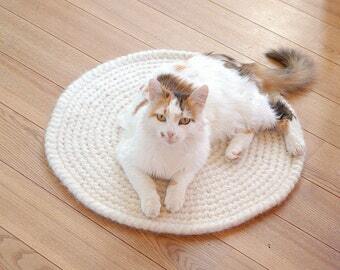 I will make the rug according to your needs. 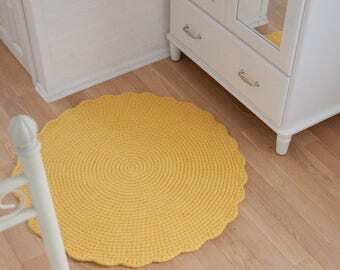 Big rugs I will crochet for you in 2-3 weeks after purchase. 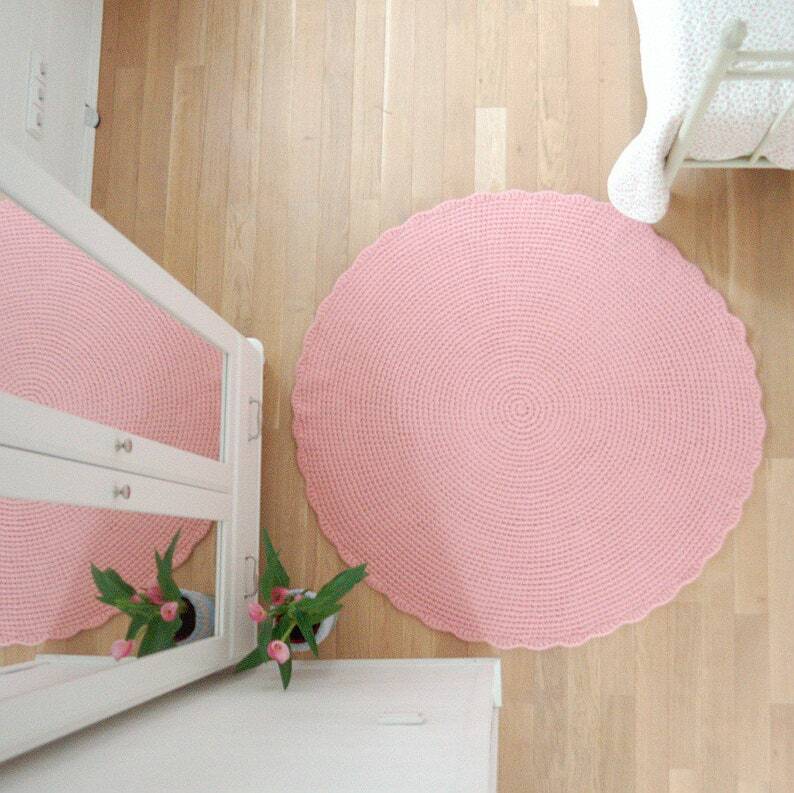 Smaller pink wool rugs you can order in my shop: https://www.etsy.com/listing/487530169/pink-rug-round-crochet-wool-rug-nursery Rugs up to 1m diameter weights up to 2 kg, so shipment costs are smaller. If you need other sizes or colors, please, contact me! 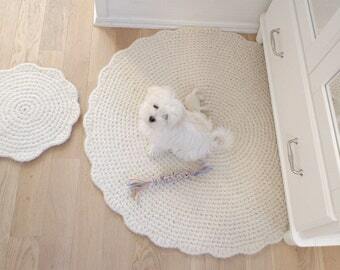 I will be glad to make a rug especially for your home. The warmers are beautiful green color. Very thick so they will not slide down my leg but stay put. They are nice and warm, I wear them inside the house over my pajama bottoms. I am 4’10” tall with athletic legs, these warmers reach just below my knee. Arrived well packaged and in reasonable time to the US. Schöne Teppiche, die super schnell gefertigt und bei mir waren. Herzlichen Dank und gerne wieder! - for US and other overseas buyers, the item must be returned within 28 days. - If you wish to return an item, please contact me before sending it back. The shipment expenses will have to be paid by the buyer. - For your own protection, I accept returns only with Tracking Number (registered parcel). All items sold in my shop are unique, therefore I cannot guarantee replacement with an exactly identical item. All replacements are discussed individually. I am happy to repair the pieces that you buy in my shop (within reasonable limits, of course). Additional charges for shipment may apply. Please contact me if you have any questions about this. All items are shipped registered via Lithuanian Post within 72 hours from receiving a payment unless it is an item that is made to order. Please contact me if you want your package to be insured - additional payment may apply. Custom orders are welcome upon request.